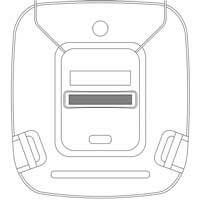 You can customise the lid of the mobile two 2 wheeled dustbins with permanent injection-embossing. 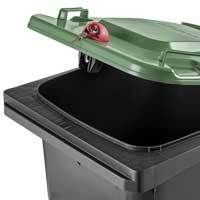 This could include the name of your city, your company or information text such as “Food waste only”. We would be happy to offer our advice. 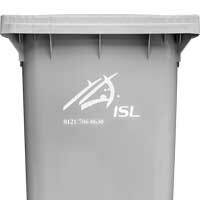 We can customise your plastic wheeled recycling bins with permanent, single-colour hot-foil printing on the body. 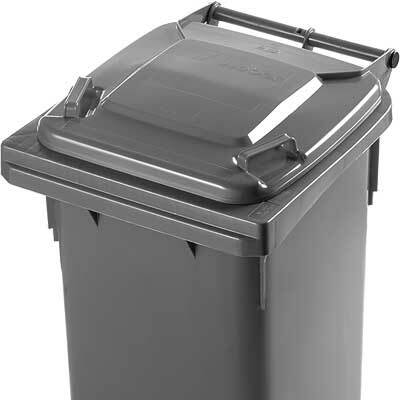 Printing of company logos, lettering, crests, or notes such as “For bio-waste” can be applied to the body of the trade waste wheelie bins for a surcharge. 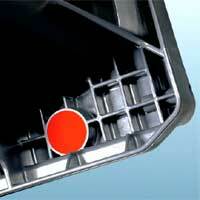 Commercial waste wheelie bins from the producer Weber can be factory-fitted with a data carrier (RFID chip) for a surcharge. 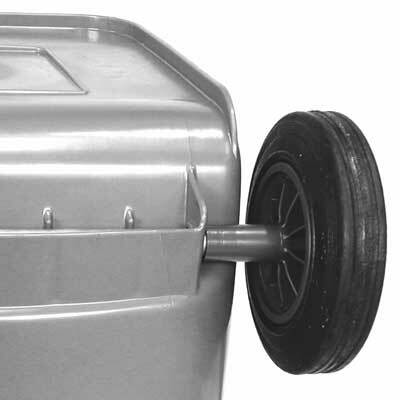 The frontal comb of the mobile garbage bins accommodates a chipnest in accordance with DIN 30745 and RAL GZ 951/1 as a standard feature. 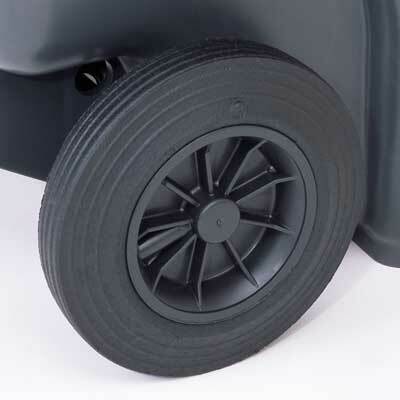 The use of larger 250 mm diameter wheels is recommended if the two 2 wheeled waste recycling bins are primarily used on unpaved ground. 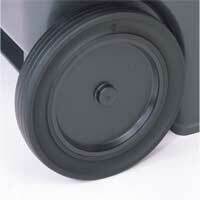 The wheels, available at a surcharge, facilitate manoeuvring of the wheeled refuse bins. 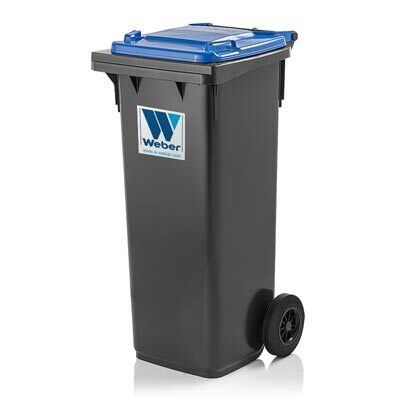 Wheelie bins 140 l are perfect for the disposal of general waste, organic waste, paper, etc. 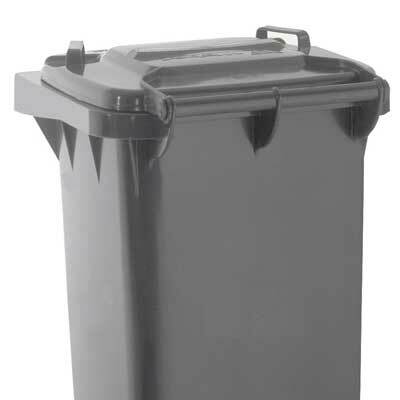 Find out more about our plastic 2 wheeled bins!